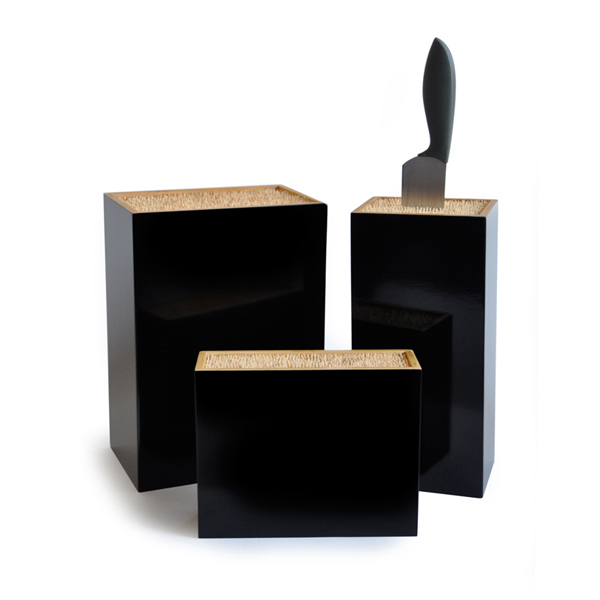 A range of knifeblocks for French company EKOBO. 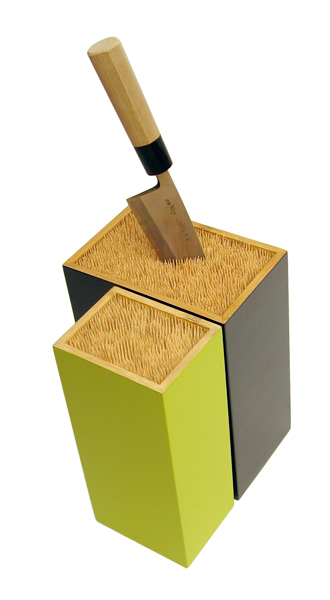 Mikoto is a bamboo box filled with thousands of wooden skewers which can be home to a set of steak knives or kitchen blades of any size and format even scissors or a sharpening steel. The skewers adjust to however you want to organize your knifeblock wihtout guessing in which slot the knive has to go. EKOBO products are handcrafted in Vietnam from locally sourced Bamboo. Ekobo ensures a fair income to artisanal communities and follows strict ethical and ecological guidelines.